Written on October 10, 2017 . Posted in Announcements + Updates, Graduate Studies. Debra Balken (Senior Lecturer, Graduate Commons) curated a Mark Tobey retrospective, which was installed at the Peggy Guggenheim Collection in Venice during the summer of 2017. This exhibition will open at the Addison Gallery of American Art on the 4th November 2017 and run through 11th March 2018. 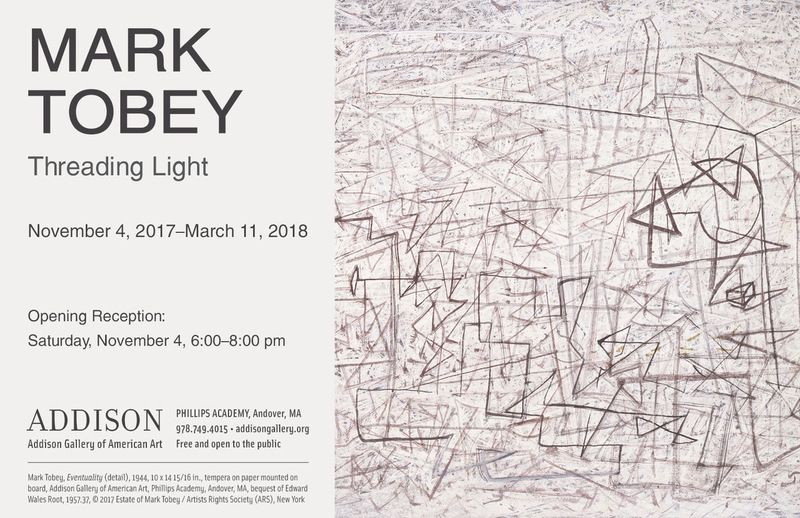 The exhibition represents the first overview of the Mark Tobey’s work in the United States in over 40 years and this will be the exhibition’s only venue in the United States.